We provide the perfect home away from home and our ideal location means you’ll have everything you need close by! 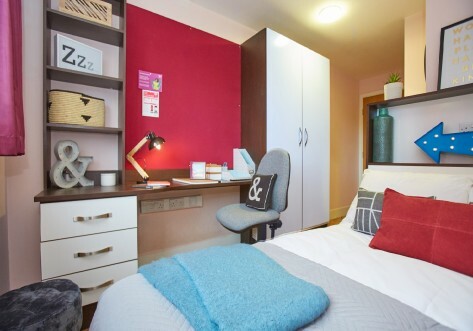 You’ll get high quality accommodation and facilities along with on-site support and a vibrant student community. Book your preferred En-suite room/Studio or book a whole flat with your friends. – Incredible Premium Studios with your own bathroom and kitchen! 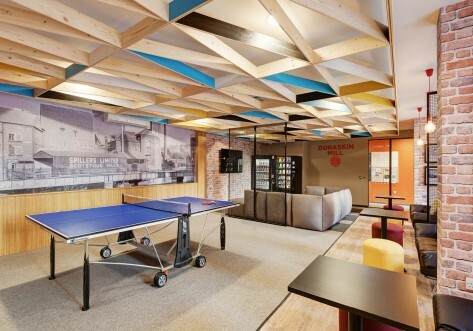 – Cool social spaces outside of the flats, including a TV lounge, cinema room and pool table. 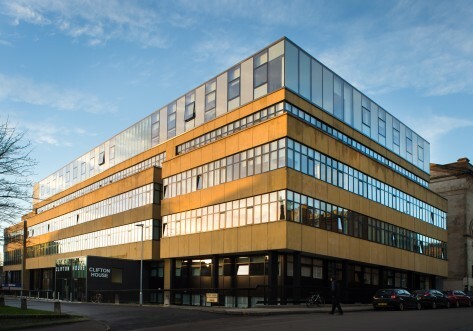 Liberty Park is a few minutes’ walk from Glasgow Caledonian University with good transport links to travel to other universities and colleges. In less than 15 minutes’ walk you can access a vast range of shops and supermarkets for all your weekly grocery shopping and essentials. Local supermarkets include Sainsbury’s on Queen Street, Tesco Express, Marks & Spencer and Morrison’s – all located in the city centre. Our spacious and modern en-suites include a 4ft double bed with storage, plus a study desk and chair. You'll have everything you need to customise your room into your new home! Please check the Liberty Living website for full details and up to date prices. Our spacious and modern en-suites include a double bed with storage, plus a study desk and chair. You'll have everything you need to customise your room into your new home! 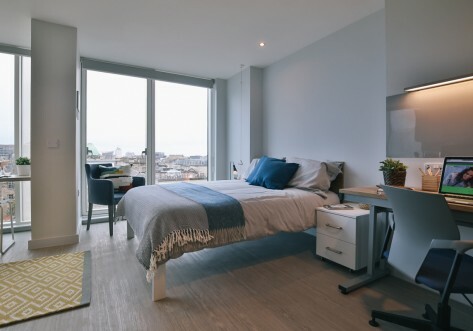 Studios give you luxury student living in a spacious room with a 4ft double bed, your own bathroom, plus a fully fitted kitchenette all to yourself!